Hey friends... popping in with a quick post of a card that I made this evening for a few challenges: Less is More (polka dots), CASology (washi tape) and CAS(E) this Sketch. Hadn't planned on making anything this evening, but when I saw the CASology challenge ideas starting percolating. 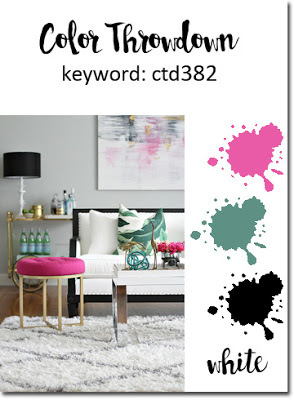 I started checking around for some additional inspiration and saw that the challenge at Less is More is polka dots. I have tons of washi tape with polka dots on it... more ideas percolating! I started off with an idea to use some polka dot vellum combined with some polka dot washi tape, but after doing a trial run I didn't like it. So... back to the drawing board! 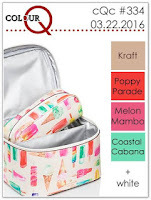 Thought of my very neglected Concord & 9th stamps and dies more specifically the fun Pop Art Pineapples set. Fiddled around a bit more and came up with an idea that I liked. I went with a black, white and gold color combo and I love it! Laid down a strip of large polka dot washi on a panel die cut from white cardstock. 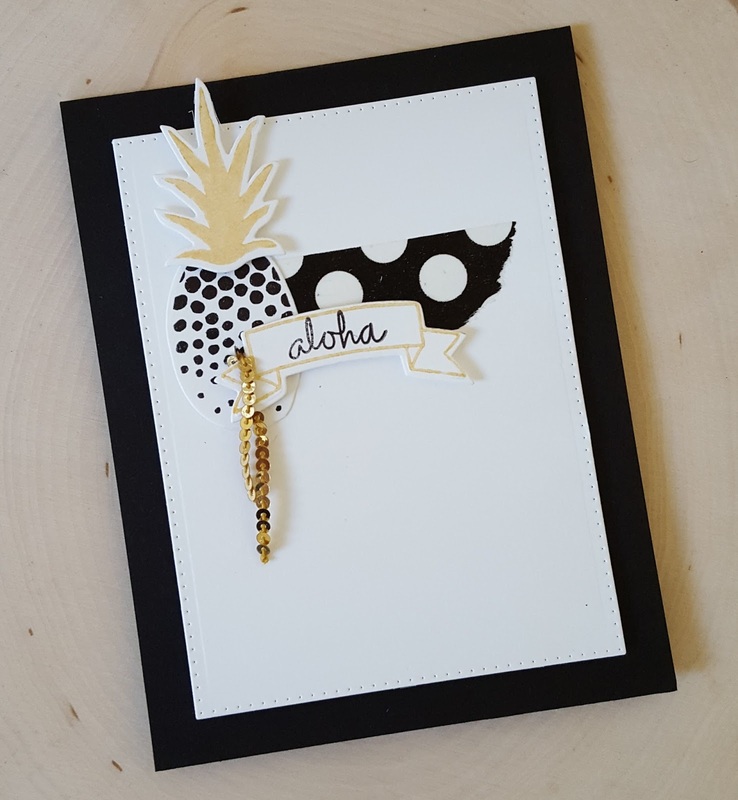 Die cut the pineapple top and bottom and stamped them with gold and black inks, respectively. Die cut the little banner image from the Pop Art Pineapples set, stamped the outline in gold and then the sentiment in black. Layered everything up and then for a bit more fun added a little length of the fun gold sequin trim that you can get from Concord & 9th. Quite pleased with this little pineapple!!! Hey friends!! Hope everyone had a nice Easter. Popping in with a quick post of a card I made this morning. 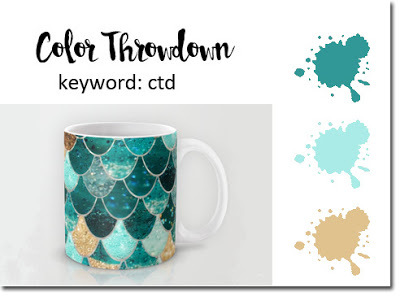 I wanted to make something for the current Color Throwdown as the color combo this week is so beautiful! I did a little bit of easy watercoloring with this one. 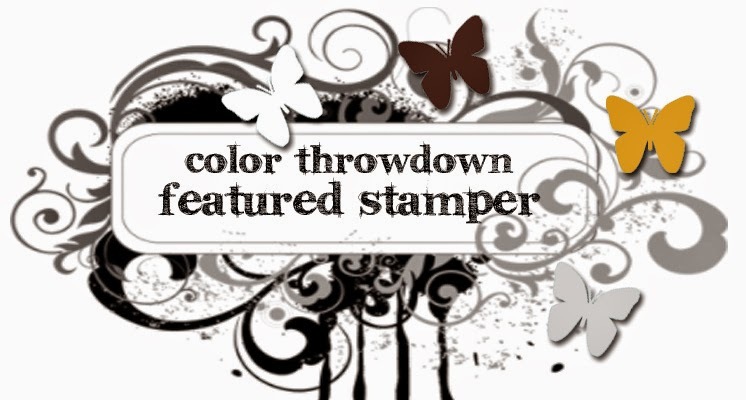 The stamp set I used is the Stampin Up! set Birthday Blooms. I stamped it in VersaMark, applied gold embossing powder and then heat set it. I used SU! 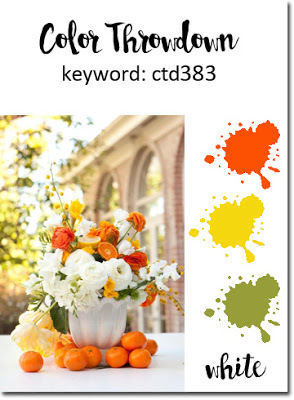 Taken with Teal and Coastal Cabana reinkers to color up the flower. Once it was dry I die cut it with an AJVD Polka Dot Rectangle backdrop die and then added the some additional interest with the little dots stamped in Taken with Teal and Coastal Cabana. Another panel was die cut from MFT's brushed gold cardstock. I used Taken with Teal cardstock for the card base. I adhered the two panels to the card base and I was done. Funny thing... 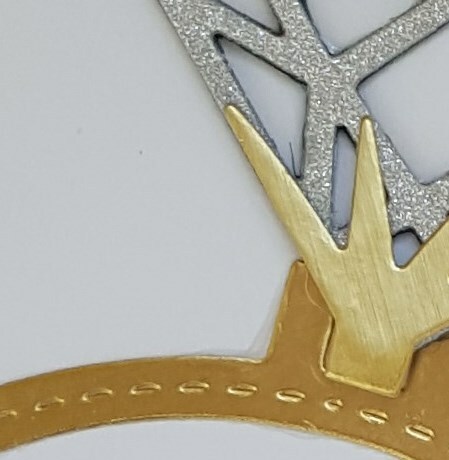 I had not intended to place the gold panel at an angle on the card base, but somehow it happened! Hey friends!! 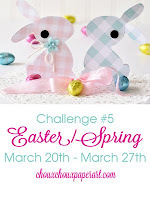 Can't believe Easter is just a few days away! Got some goodies for my boys at See's Candies the other day. I know both will be very happy with what they get. My little guy had 6 baby teeth removed today, but if you saw him right now you would never know it. He is running around doing all his usual 9 year old boy stuff... didn't miss a beat!! That wasn't the case when we got home this morning. While he was taking it easy I took the opportunity to do some laundry and make a card! 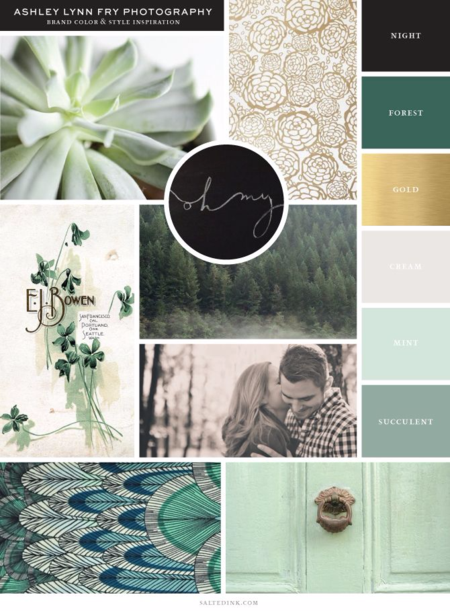 This one is for the current Essentials by Ellen Pin-Sights challenge... the mood board is absolutely gorgeous!! I used the current CAS(E) this Sketch layout so will be posting it there, as well. I used my favorite Essential by Ellen Bold Blossoms dies and the Essential by Ellen Fancy Thanks set for my card. One of these days I hope I can pick up the gorgeous Mondo Hydrangea set... there are a ton of gorgeous cards in the current Pin-Sights challenge gallery. I die cut the largest flower from some PTI Ocean Tides cardstock and PTI swiss dot vellum and adhered them together, but slightly offset. The leaves were cut from Simon Says Stamp Sea Glass. I die cut the panel and adhered the strip of black cardstock. 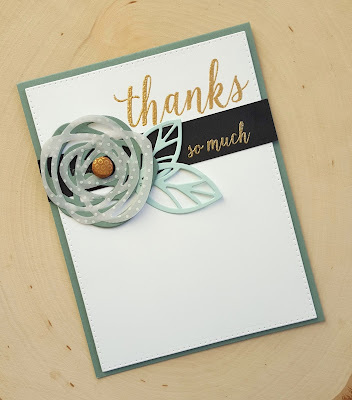 Once that was done I stamped the large "thanks" and the "so much" from Fancy Thanks with VersaMark, applied gold embossing powder and then heat set. Once that was done I adhered the leave and the flower. A little gold embellishment was added to the center of the flower. Hey friends!! Got a chance to make a quick card today for a couple of challenges. 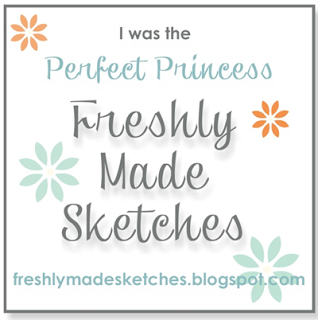 The new layout from Freshly Made Sketches is such a fun one. 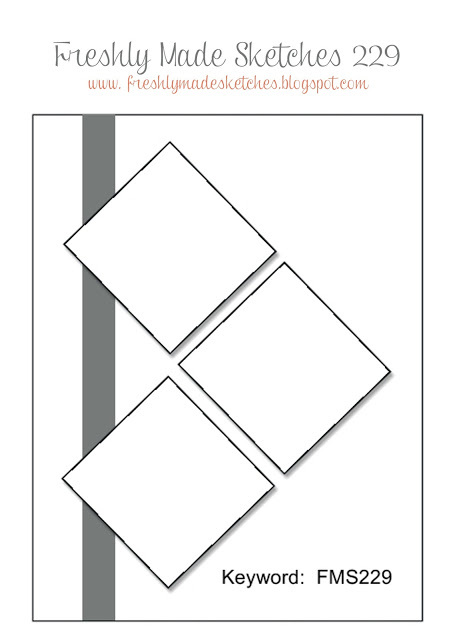 So many different shapes that you can use for the three main elements on the card. The fun card that FMS design team member Jen T. made inspired me to create my card along a similar line. I pulled out a Simon Says Stamp mini set called Bring the Sunshine and the matching sun die to create my little sun. 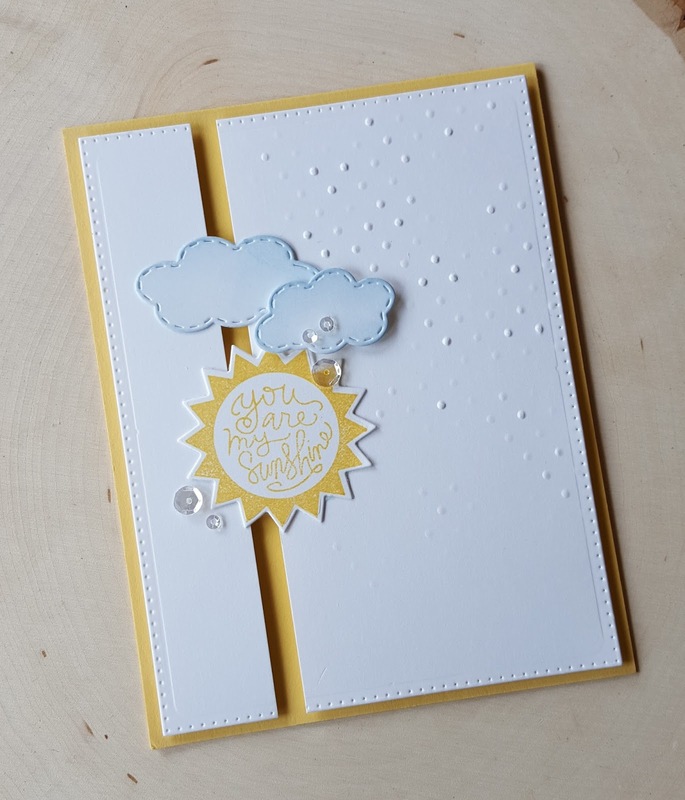 The clouds were die cut using stitched cloud dies from A Jillian Vance Design and then inked up with some PTI Spring Rain ink. 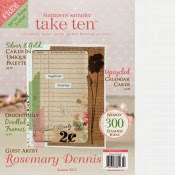 The panel was die cut using the largest die from my workhorse A Jillian Vance Design Rectangle Polka Dot backdrop dies. I then cut the panel in to two pieces and then trimmed an additional 1/4" of cardstock from the larger panel. The larger portion was partially embossed using a Sizzix Swiss Dot embossing folder to give it the look of rain. 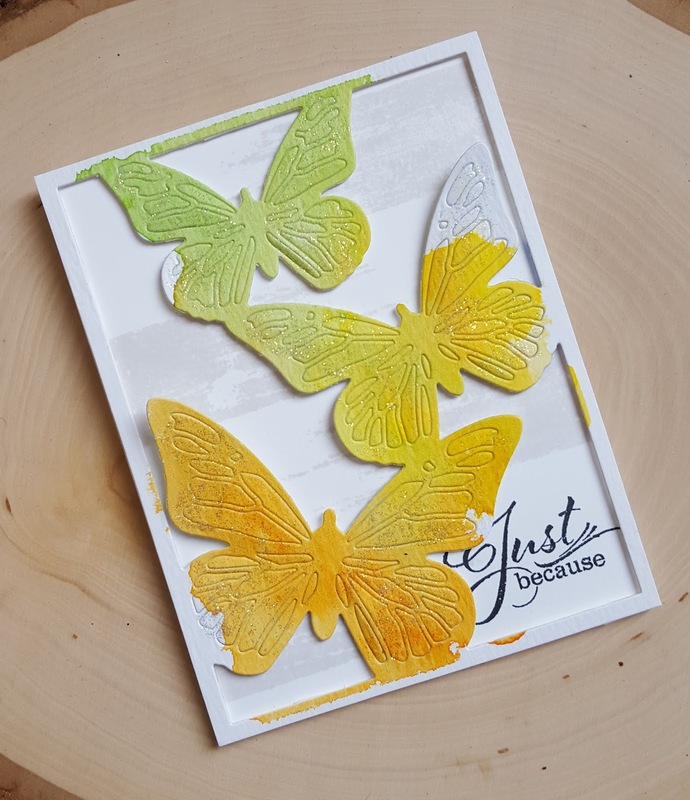 The sun was die cut and then stamped using SU! 's So Saffron ink. The panels were adhered to a So Saffron card base and then the clouds and sun were attached. I finished off the card by adding a few clear sequins from the sequin mix that came with the March SSS card kit. 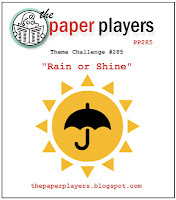 The challenge this week at the Simon Says Stamp Wednesday challenge is "come rain or shine" so that is the other challenge I am entering. 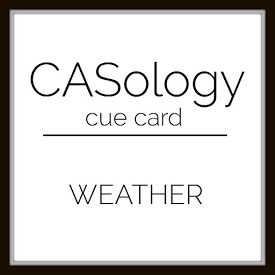 I think it took me about 20 minutes to make this card... for me that is pretty darn fast. Since I used some Simon Says Stamp products on the card I also entered it into the current Simon Says Stamp flickr challenge of anything goes. This also works for the current CASology challenge of weather so I will be posting it there, too. Hey friends!! Happy Wednesday!! 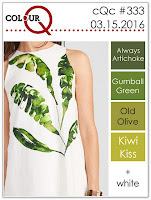 I have a post up on the AJVD blog. If you want to check it out, please click here. Back in February I got the PTI Color Pop Floral Make It Market mini kit (say that fast three times, lol! ), but hadn't gotten around to using it. 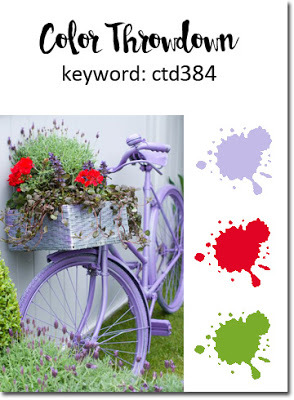 When I saw this week's ColourQ combo I decided to pull out the kit and create a card. 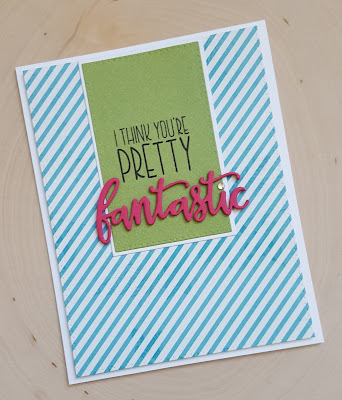 Since one of the ColourQ colors this week is kraft I used one of the kraft cardstock sheets included in the kit. 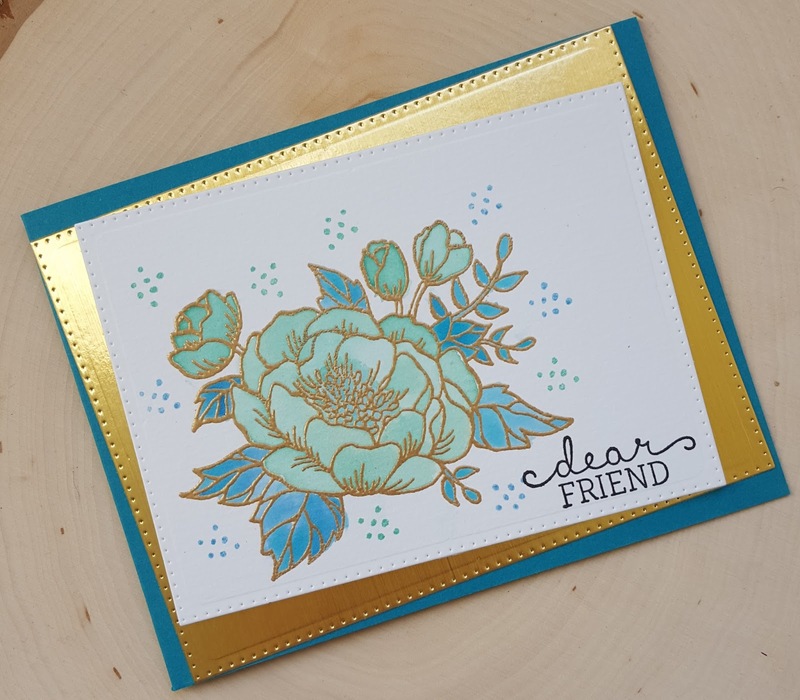 The flowers were stenciled using Ranger Picked Raspberry and Festive Berries distress ink and then the flower centers were added using the same ink with the stamps. I don't own a ton of stencils, but I can say that the PTI stencils that came with the kit are very sturdy and I really like that. Some stencils can be a bit well... flimsy and hard to keep in place. 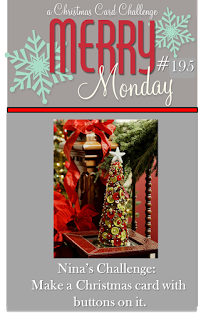 The leaves were stenciled using Stampin Up! Coastal Cabana and then the centers stamped with the same ink. I really like how the stenciling turned out. 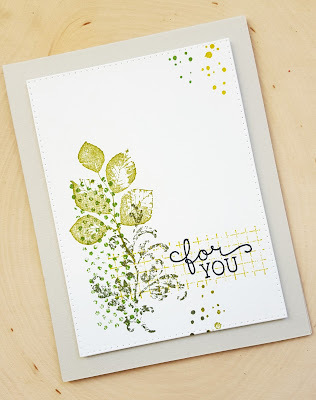 The sentiment came from another PTI Make It Market mini kit... Garden Gild. 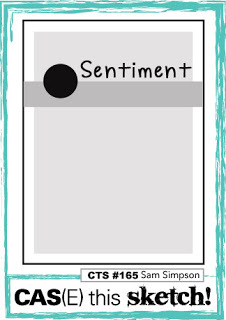 I stamped the large word happiness and then added the smaller sentiments around it. Once everything was done I die cut the panel using an A Jillian Vance Design Rectangle Backdrop die (the largest one) and then simply adhered it to my card base. Since this is a spring like card I think I will also add it to the current ChouxChoux Paper Art challenge which is Easter/Spring. Hey friends!! 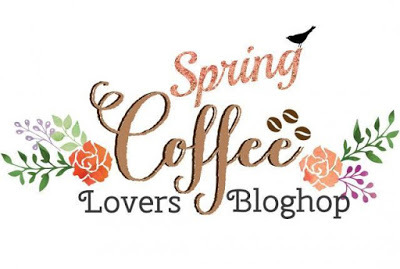 Popping in with a card for the Spring Coffee Lover's blog hop. I don't drink coffee (although today I had a mocha frap... but only because if I buy one and two other things I will get 8 bonus stars! 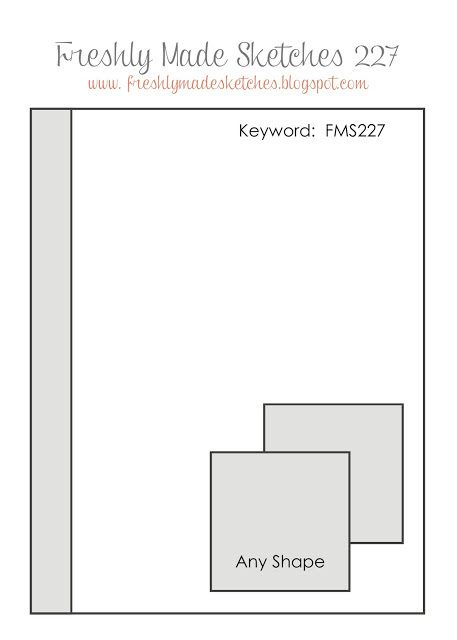 ), but since you can also enter projects using a tea or cocoa theme I decided to play along. The color combo comes from this week's Color Throwdown and the layout is based on second Viva La Verve March sketch. 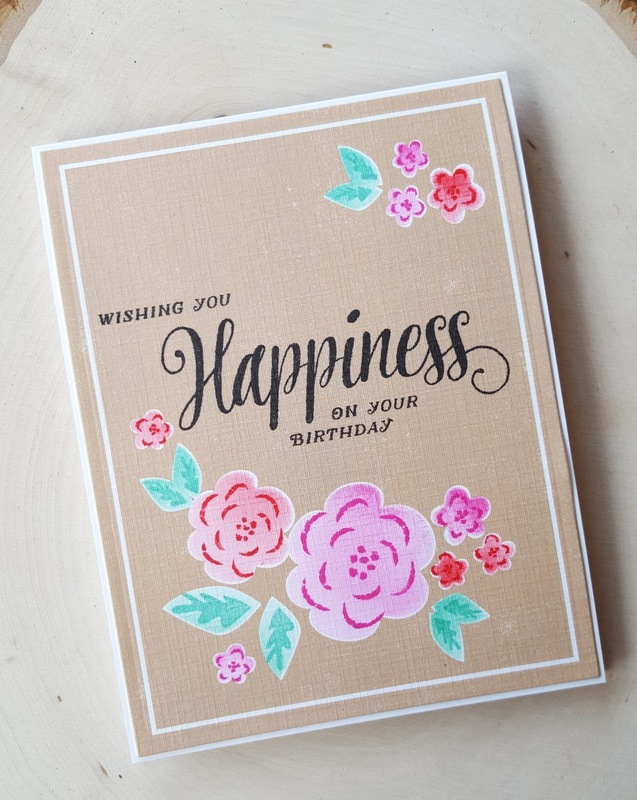 Still working on my huge collection of 6x6 patterned paper so I used up a few more sheets making this card. The stamps I used are from Verve... the One Cup set. I die cut the little cups from lavender polka dot paper and then stamped them with the corresponding images using lavender ink. 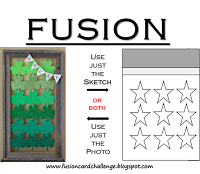 Panels were die cut from white cardstock and patterned paper using the largest A Jillian Vance Design Polka Dot Rectangle Backdrop die and then the about 1 1/2 inches of the patterned rectangle was trimmed off and adhered to the white panel. The circles were also die cut with A Jillian Vance Design dies (plain and polka dot circle backdrop dies) from white and red cardstock. 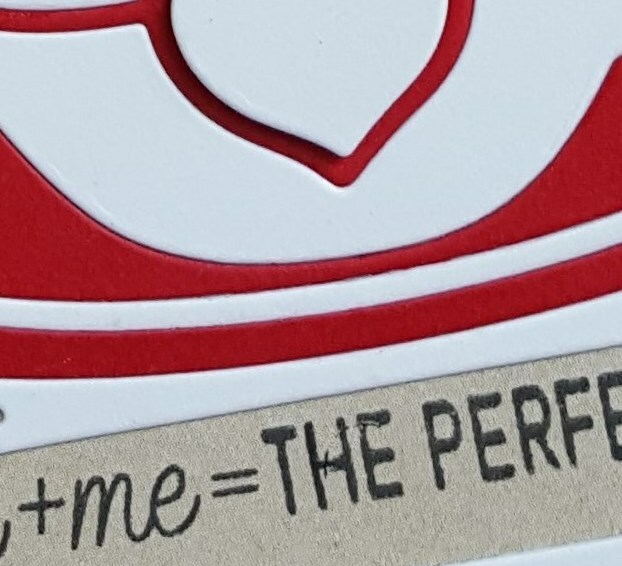 Stamped the sentiment on red gingham paper and the white cardstock circle. 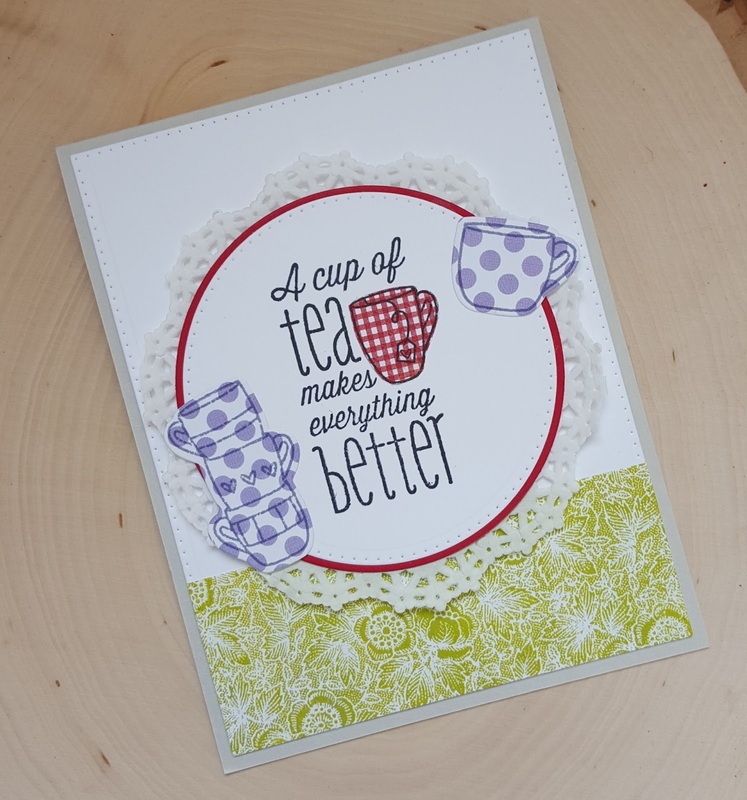 The cup was trimmed from the gingham paper and then adhered to the sentiment. Adhered the circles to my doily, then to the panel and added the little polka dot cups. Very simple, but kinda cute. Hey friends!! Wow... today was an absolutely gorgeous day here in the Pacific Northwest!! The sun is out and hardly a cloud to be found. The only problem is that the wind has picked up and it is rather brisk out there. But I will take a sun-filled windy day over a cloudy rain-filled day any time!! Haven't made a darn thing this entire week. No time and I frankly I just didn't feel like making anything. But... today that all changed. I had some time and I actually felt like making something! Ended up with two very different cards. 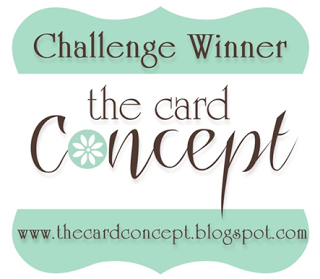 First up is a card for the current ColourQ challenge. Haven't participated in the ColourQ challenge in ages and thought today would be a good day to change that. 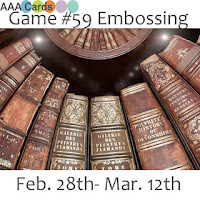 I pulled out a few Stampin Up! sets and made one of my favorite types of card to make... a collage card. I had to spend a little bit of time figuring out exactly how to layer the colors correctly. 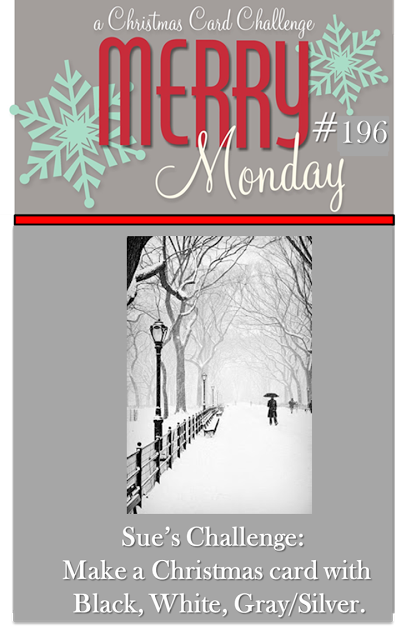 Once I got the colors sorted out I did all my stamping, die cut my panel and then added my sentiment. 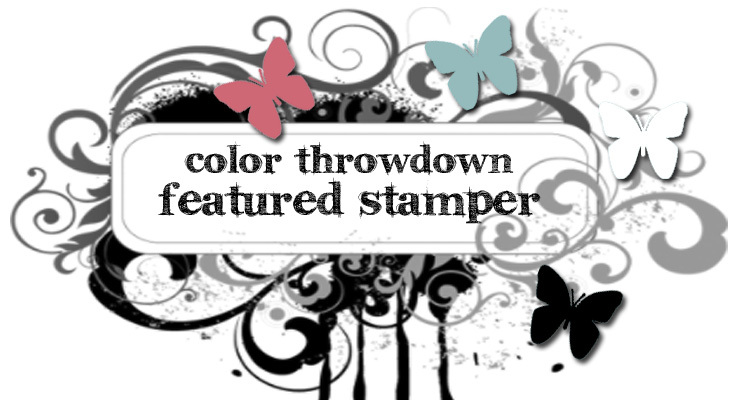 The collage images came from the new Stampin Up! set Timeless Textures and my favorite SU! set Kinda Eclectic. The sentiment is from the SU! set Birthday Blooms. Of course this card makes me happy, happy, happy!! 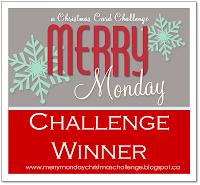 The second card is for two challenges: Merry Monday Christmas challenge and Freshly Made Sketches. 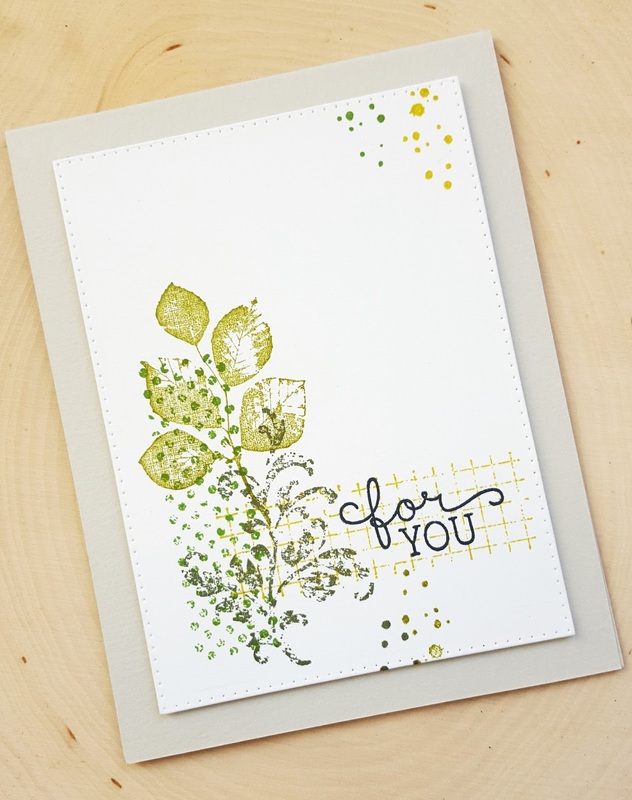 This card also uses Stampin Up! products. As I looked at the Merry Monday challenge I thought about my Stampin Up! Wonderful Wreath set. This set was created for layering and has a set of dies that matches. I stamped the wreath in SU! Smoky Slate ink and then stamped the layering image using Delicata Silver Shimmer ink but the silver doesn't really show up. I added the berries layer using Memento Tuxedo Black ink. 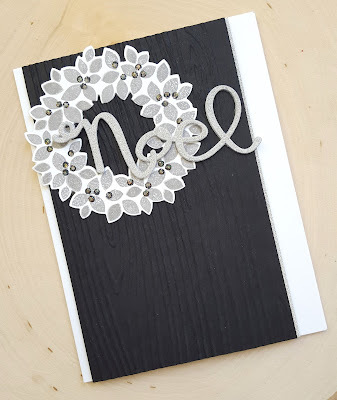 The noel was die cut from My Favorite Things silver sparkle cardstock. I cut the noel from additional cardstock and then adhered them together. 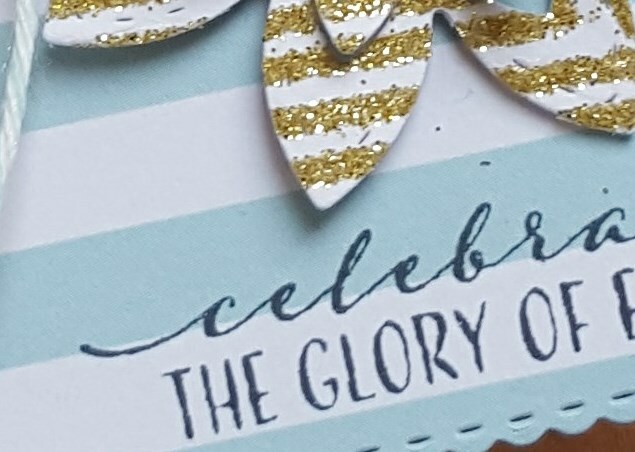 I originally layered the wreath on white cardstock, but it just kind of faded into the background. So I switched that out for black and I love how it looks. I embossed the black cardstock using an SU! woodgrain embossing folder and then added a little strip of the silver sparkle cardstock to one edge. Layered everything up and the white card base and then added some Diamond Stickles to the berries in the wreath. 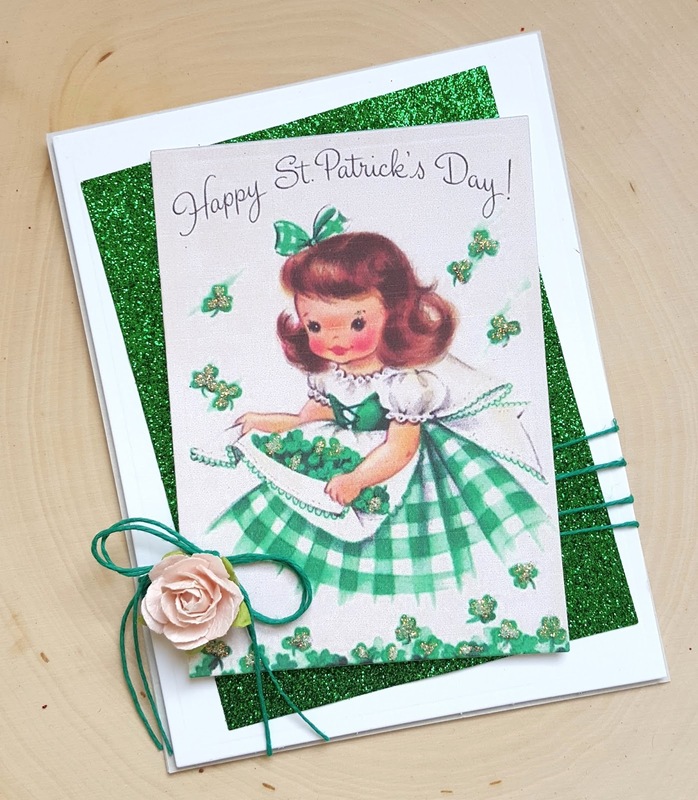 Love how this card turned out, too!! Hey friends!! Popping in with a quick post. I'm not one to use digital "stamps" or other types of downloadable images. I just don't have really good editing software or the time to spend trying to figure out how to enhance the images. 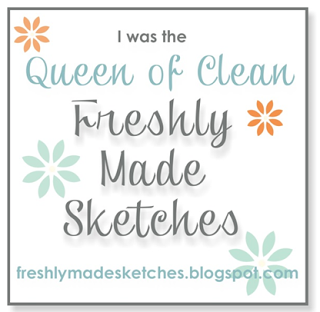 But I really love this little freebie that Lori Hairston gave away recently (you can find it here). I downloaded her and then spent a little bit of time trying to change the background so that it didn't come out so yellowish. After using up about five sheets of PTI snow white linen cardstock I finally got a print that I was happy with. 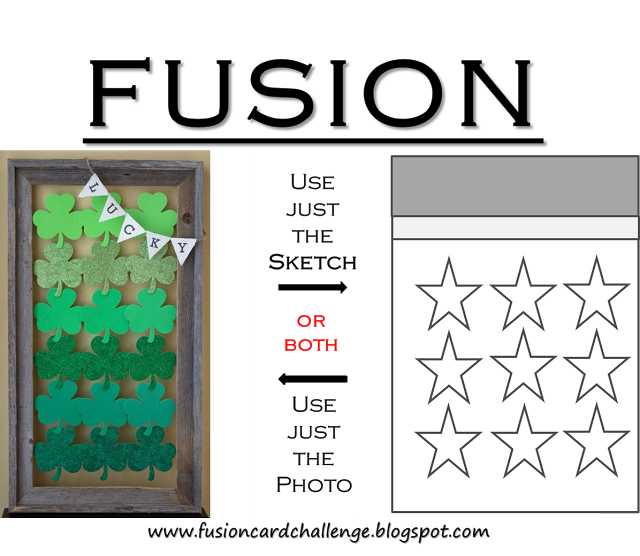 After die cutting the image I kept things simple and just added some Diamond Stickles to the shamrocks. I die cut some green glitter paper as a mat for the main image. Green hemp twine was wrapped around the glitter paper and then the piece was adhered at an angle to a white cardstock panel. The image panel was adhered at an angle as well and then a simple little bow tied from the twine and a light pink paper flower were adhered. 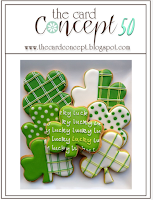 Adding this to Lori's current challenge of St. Patrick's Day/green (I think I have both covered, lol! 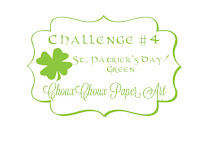 ), the current Card Concept challenge (I was inspired by the green and shamrocks) in the clean and layered style and the current Simon Says Stamp Wednesday challenge of a bit o' green. Hey friends!! Popping in today with a card that I made for a few challenges: Merry Monday (use buttons), Freshly Made Sketches (layout) and Simon Says Stamp Wednesday challenge (a touch of green). 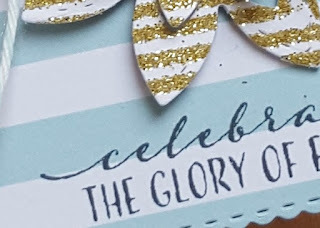 When I started my card I had a different idea as to how I wanted to use the FMS layout, but when I tried the idea out it absolutely did not work! So... 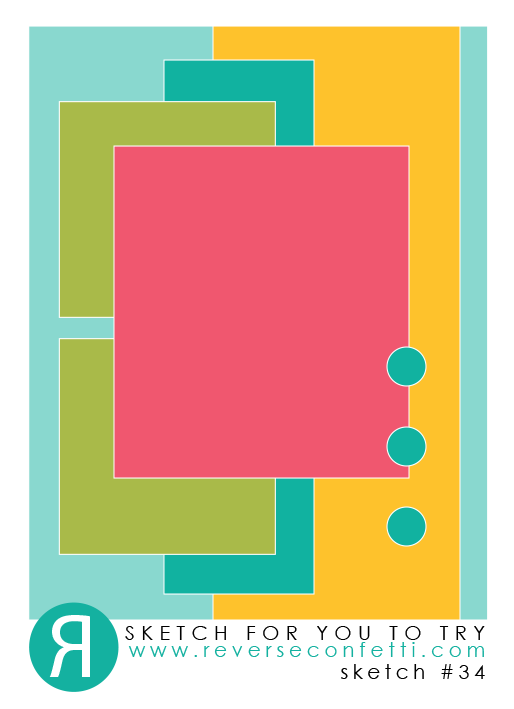 I went back to the drawing board and decided to stick rather closely to the sketch layout. 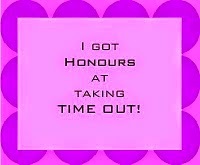 But instead of having to squares I have a square and a circle in the form of a button wreath. 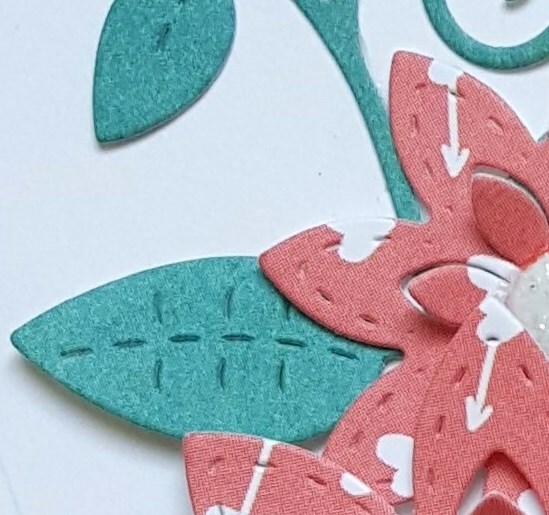 To make my little button wreath I die cut a couple of circles from green cardstock and then die cut the centers out using a circle die two sizes smaller. The two circle were adhered together to give the wreath base a bit more stability. The buttons were then hot glued to the wreath base. I used hot glue because it sets up faster and the hold is a bit stronger. Once the wreath was finished I added the little bow using some light brown hemp twine. 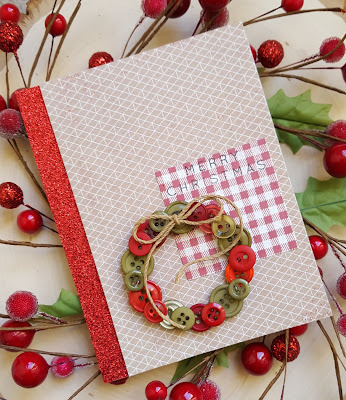 The patterned papers used are from the Pink Paislee Yuletide 6x6 pad. I die cut the square using a Spellbinders square die. 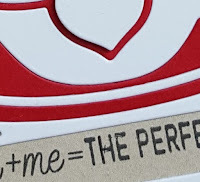 The red glitter cardstock is from the Heidi Swapp Marquee Love 8x8 pad. 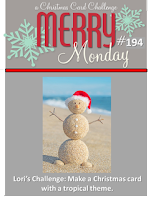 The Merry Christmas sentiment is from the Simon Says Stamp Gifts of Love stamp set. I really love how the wreath turned out... I think it would be fun to make some of these as ornaments. ETA: Big thank you to my sweet friend Greta for alerting me to the fact that I had not included the photo of my project or the links!! Hey friends!! Popping in with a card that is very appropriate for this time of year in the Pacific Northwest. 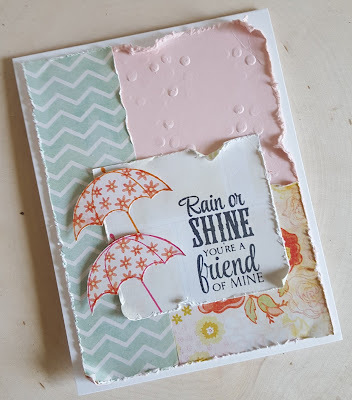 I put together this card for the current Paper Players challenge (rain or shine), as well as the March Viva la Verve sketch challenge. Viva la Verve switched from havign four sketch each month challenge to having two sketches per month and I'm still having trouble participating!! Hoping that will change with this month. 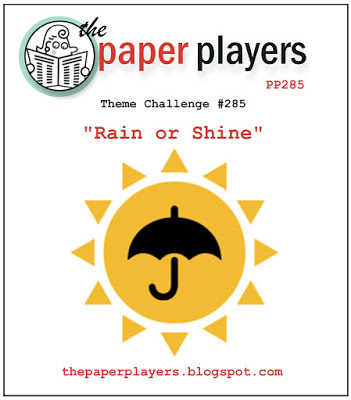 When I saw the Paper Players challenge I just had to play along and use one of my favorite Verve sets: Rain or Shine. Still on a quest to use up my stash of 6x6 paper pads and I made another small dent when I made this card. I used some sweet papers from the My Mind's Eye Sweetest Thing Tangerine pad. Absolutely no die cutting on this card which was kinda weird for me. I don't think I have made a card without die cutting at least the main panel in ages! I stamped the umbrellas on to the patterned paper using orange and dark pink inks and then trimmed them out. 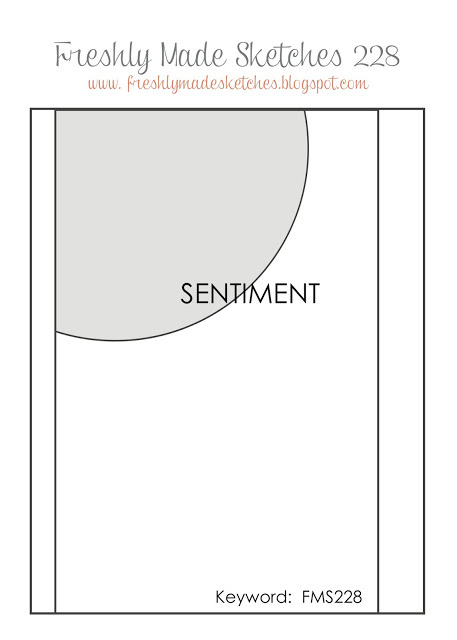 The umbrellas were stamped again on the sentiment panel using the same inks. I added some partial embossing to the pink main panel before adding the patterned paper. The edges were then roughed up with a distressing tool. I cut the sentiment panel, stamped the sentiment and the umbrellas, roughed up the edges and adhered it to the main panel. Finished by adding my paper pieced umbrellas. Hey friends!! Popping in with a card that I made for the current Essentials by Ellen Mix It Up challenge (mixing Essentials by Ellen products with Pretty Pink Posh products), as well as the current Fusion challenge. I think I will also post this to the Simon Says Stamp Wednesday challenge of touchy feely since the glitter paper has a nice texture to it. For the challenge I used the Essentials by Ellen Hello Gorgeous set and since the only Pretty Pink Posh products I own are sequins I used those (4mm gold and 6mm sparkling clear). Obviously I only followed the sketch portion of the Fusion challenge. I die cut my panel from white cardstock and then die cut a strip of gold glitter paper using the same die for a cleaner look. A thin strip of black cardstock was cut to add additional contrast. 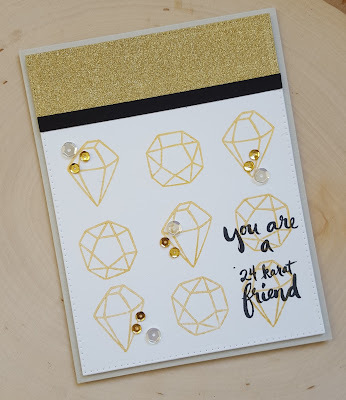 I stamped the gems using Delicata Golden Glitz ink and then over stamped the sentiment using Memento Tuxedo Black ink. Love how it turned out. Finished things off with the sequins, but I'm not super pleased with how they look. Definitely need to get some PPP 6mm gold sequins... not really sure why I don't have any, lol! I must say that the Pretty Pink Posh gold sequins are some of the prettiest I have seen. The gold is a nice warm gold... love it! Hey friends!! Happy Friday!! 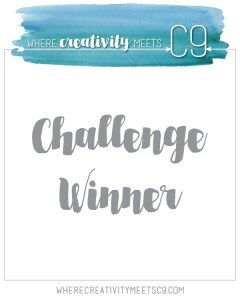 Got some time on Thursday to make another card... YAY... and created this one for a few challenges: Reverse Confetti March Sketch for You to Try, Merry Monday Christmas challenge (tropical) and Color Throwdown. 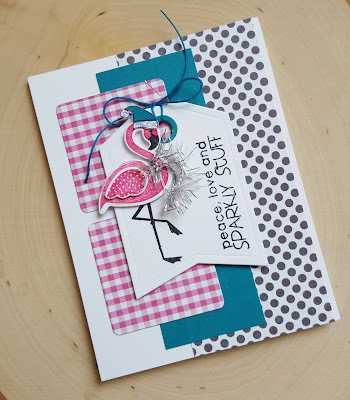 When I first saw the current Merry Monday challenge I wasn't sure I would be able to play along, but when I saw Bonnie's card using a flamingo I knew right away that I would go in the same direction and use my RC Fabulous Flamingos stamp set along with sentiment from Tinsel 'n Trim. Using the colors from Color Throwdown made it a bit more tricky, but I think I came up with a pretty cool looking Christmas card. I die cut and stamped the flamingo using dark pink ink and then wrapped a little bit of tinsel trim around the flamingo's neck. 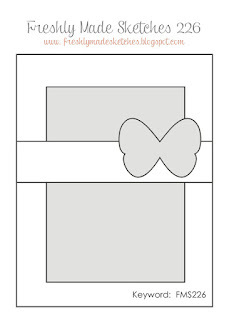 The tag was die cut using the RC Tag Me die and the squares using the RC Shakers 'n Frames die set. I had to hunt around through alots of stamp sets in order to find one that had a small Santa style hat that I could use for my flamingo, but finally came up with something. I stamped the hat on white cardstock and then on the teal, carefully trimmed them out and then adhered the teal piece to the full hat. I added some crystal Ice Stickles for a bit of sparkle. 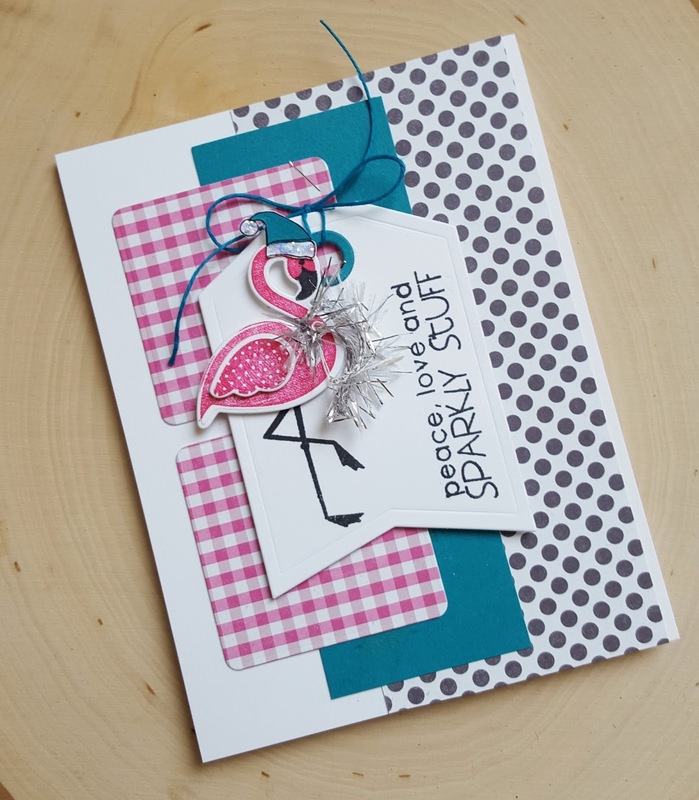 I stamped the sentiment on the tag and then added the flamingo. Layered everything up and I was done. Hey friends!! Finally got a chance to make a card for a few challenges. I recently got the Simon Says Stamp March card kit and so I pulled it out to make this fun card. I'm going to be posting it to the following challenges: Freshly Made Sketches, AAA Cards (embossing) and Simon Says Stamp Wednesday challenge (touchy feely). 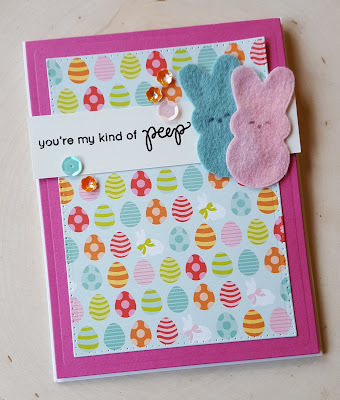 Originally I die cut the little bunny peeps from some of the patterned paper in the kit, but then decided to use some of the felt I have had for several years now and never used! I used black ink to add the little faces to my peeps once they were die cut. 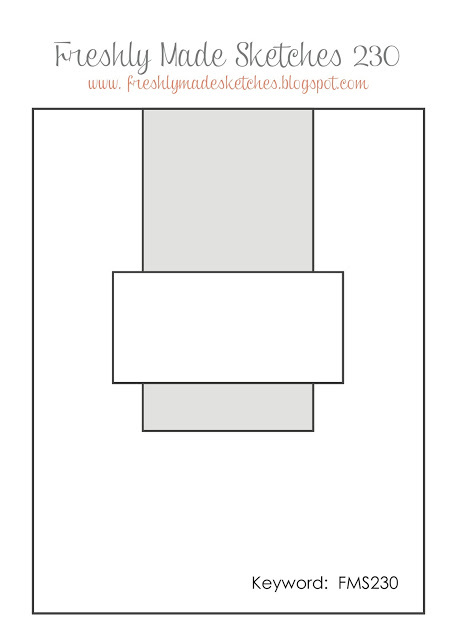 That is the "touchy feely" element I added to the card. The sentiment was stamped on the white cardstock strip using VersaMark watermark ink, black embossing powder applied and heat set. I tried to get a close up of the sentiment in hopes that it would show the embossing, but it still just looks like I stamped the sentiment with black ink so you will just have to take my word for it... After die cutting my panels from the dark pink cardstock and the patterned paper I layered everything up and then finished the card off with a few sequins. Pretty cute don't you think?